One of my favorite things about Lancaster County is the festivals… there are LOTS of them, celebrating every aspect of life in the area. Without a doubt, one of the best of the winter festivals is Fire and Ice in Lititz. It’s organized by the Lititz Lions Club, and combines ice sculpting event with a chili cookoff for a weekend of sensory overload. There are nearly 100 blocks of ice distributed around the downtown area, and artists sculpt them right in front of you… so you can watch the pieces emerge as you shop in Lititz’s wonderful boutiques. The Chili Cookoff is on Saturday, 2/19 in the Warwick High School Cafeteria from 11:00 – 3:00 pm with a Winter Carnival taking place simultaneously in the gym. The weekend wraps up Sunday with “Skating & Fun”. Tickets to the Chili Cookoff are limited. The cost is $5.00 in advance, and if any are left, $7.00 at the door. Check out the Fire and Ice website for where to buy your ticket. 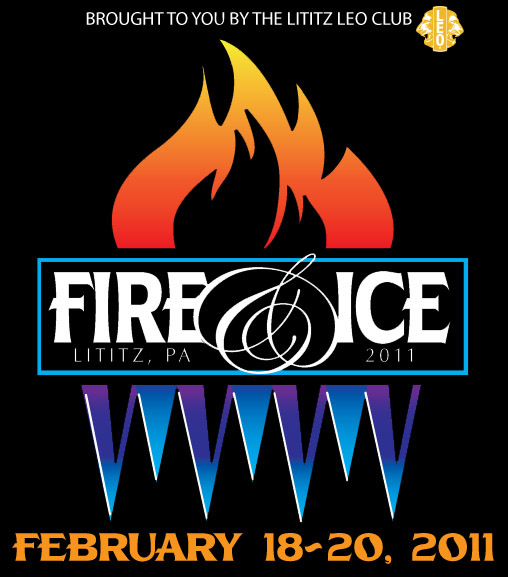 Fire & Ice Festival In Lititz, PA—Opposites Do Attract! Ephrata Main Update – Three Great Acts Coming our Way — What DO Those Town Names Mean? ?